I have had a frustrating last few months which came to an end yesterday with the visa approval. For all of us here the extension process has been a real long and frustrating journey which controlled our thoughts for all these months. I have decided to put in a summary of the happenings in the last few months about which I was planning to write about. I would like to begin with the exceptional season the Indian cricket team has been having since they won the Perth test match last Jan. The only blip being the test series in Srilanka. The Indian team under Dhoni has performed really well and are in top 3 in both forms of the game. The recent series in SL where Dhoni’s men won 4-1 further emphasized their raise in the shorter format of the game. The Indian team has found great bunch of youngsters who are hungry for success and want to win every game. Having said all that Dhoni’s great test is just around the corner, the tour of NZ. This will be his first full tour as a captain of the Indian team. India would be looking to win the test and the one-day series against the Kiwis which will not be an easy task. The Kiwis have had a good series against the Australians recently where they drew the one-dayers 2-2 and lost the one-off Twenty20 by one run. They will be full of confidence and would be hoping to drive their home advantage to trouble the Indian team. The Indians on the other hand would want to erase the memory of their disastrous 2002/03 tour to the Kiwiland by turning in good performances in the both forms of the game. If India play to their potential they should win the series. The series gets underway with the first of the 2 Twenty20 games next wednesday. Lets hope that the series is competetive and may the best team win. Musical genius A R Rahman made every Indian proud when he received the Golden Globe award for the best original score for his song “Jai Ho” in Danny Boyle’s award winning movie Slumdog Millionaire. There has been lots of speculation in the Indian media reagrding the movie as well as A R Rahman’s music claiming that both are over-rated. Few people in the media have slammed the movie and some also said that it has shown India in a poor light. As far as I am concerned the movie was just okay and was nothing great but thats my opinion. To be frank its a movie made by a British director in India and if Hollywood calls it as the best movie of the year then so be it. I dont think that this movie showed anything wrong about India. At least the movie was made in India. How many bollywood directors make movies in the slums of Mumbai? How many Indian directors who commented on this movie can make a movie which will prove otherwise? Actually no one cares. Its just that this movie has become so big that people have decided to cash in on its popularity. The Johars and the chopras have stopped making movies in India and few more directors probably will follow suit. I guess we have to treat SM as a hollywood movie which has been made in India with Indian actors, thats about it. We have made so many substandard movies in US and UK, they dont claim those as theirs and slam it in the their media when we give awards to those movies. So lets just be realistic, Hollywood thinks its the best movie of the year so thats where it ends.As far as the award to ARR is concerned I am really proud of him and his achievements. He has put Indian music on the world map. Whether this is his best composition is open to speculation but there is no denying the fact that he deserves all the accolades he is receiving right now. Lets not unnecessarily dissect the music and enjoy the success of one of the finest composers in India. 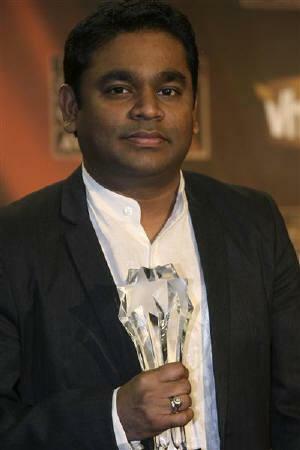 Congrats to ARR on his Golden Globe and hope he wins Oscars too. Tennis in India received a tremendous boost when Yuki Bhambri won the junior Australian Open title earlier this year. His victory along with the performance of Somdev in the Chennai open gives great hope to the Tennis scene in India. Mahesh won yet another mixed doubles championship, this time with our own Sania Mirza to make this the most memorable Australian Open for the Indians. Sania though continued her horror run in singles when she was beaten in the second round. Hopefully Somedev and Yuki can take the Indian Tennis forward and make a successful transition to the senior level. Thats all for now from me. Lets hope that India continues to shine in 2009 and we have more awards and titles to add.